Throughout our lives we’ve learned how to behave by listening to the words, commands and demands of others. We’ve received “knowledge” from books and teachers in schools. And we’ve observed the world around us. Yet, with all of the information that we acquire in a lifetime, do we ever really learn how to self-love, self-accept, self-appreciate or to be in support of oneself? Does anyone teach us how to lift ourselves up rather than tear ourselves down? How to be our own best friend instead of be our own worst enemy? How to nurture our needs instead of diminish ourselves with self-destructive vices and habits? 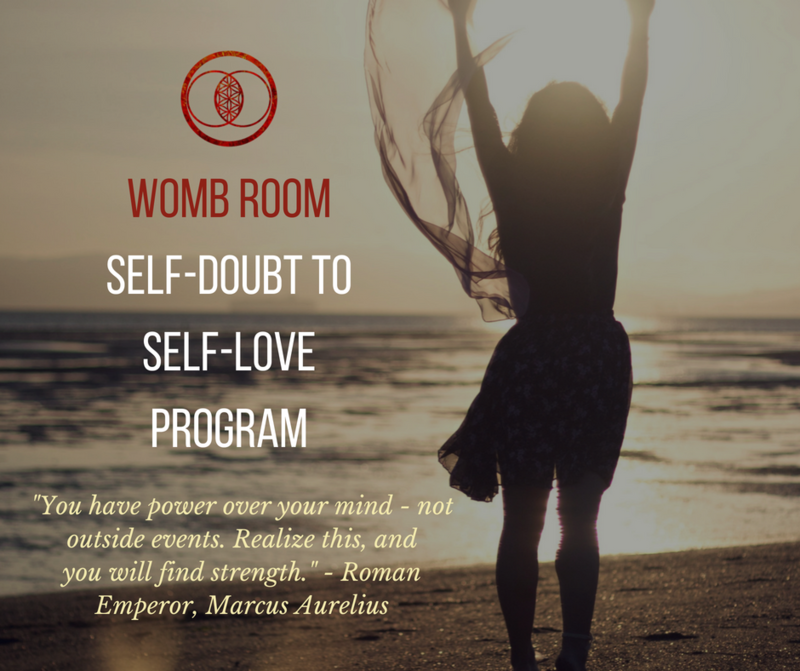 The womb room is a women’s circle where you can gather with like-minded women to learn simple techniques for releasing self-doubt and step into self-love. When we view our lives from a place of Love we can then gain the ability to transform painful physical and emotional experiences into messages of wisdom. Shed outdated beliefs and emotional patterns. Learn new ways to nurture your physical body temple and inner child. Obtain practical guidance for synchronizing your life intentions to the natural cycles of the moon. Discover how to utilize ritual for the purpose of focusing intentions to create the life you desire. Learn to heal stuck emotions of the womb and connect more deeply to your Divine Feminine. Connect with and be supported by other women on a mind, body, spirit path. ​The Womb Room will take you through an 18 week journey guided by 9 primary moon phases that will end in a magical self-birthing experience in the Rite of The Womb ceremony. ​18 weeks of self-love challenges and have a place to support and encourage one another while sharing your journey with the other sisters in the group. Click below to sign up to the wait list for the next future dates.